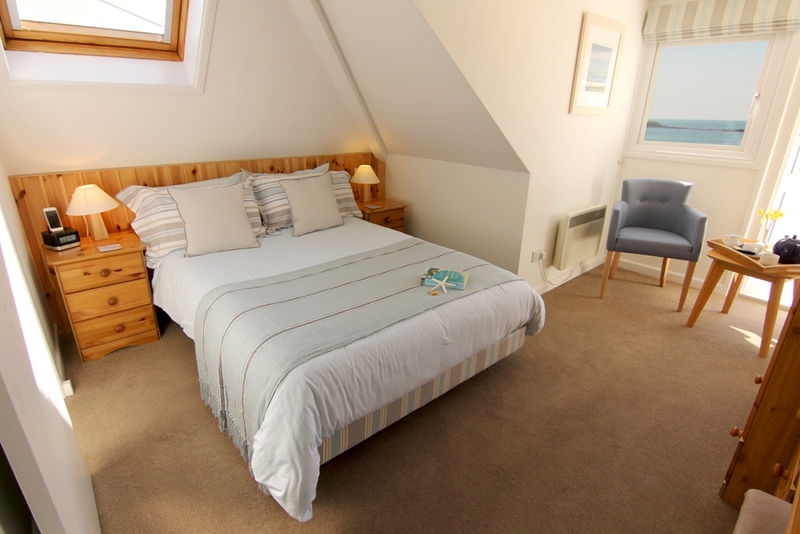 Room 4 is our cosiest double and has a standard double bed. It is located on the first floor, has bags of character and benefits from a fabulous sea view. The room is lovely and light and the en-suite has a bath with electric shower over. Please note that due to its loft location, Room 4 has slightly restricted head-room to one side of bed and in the bathroom.